Telegrams finally kicked the bucket in 2006 – who knew? 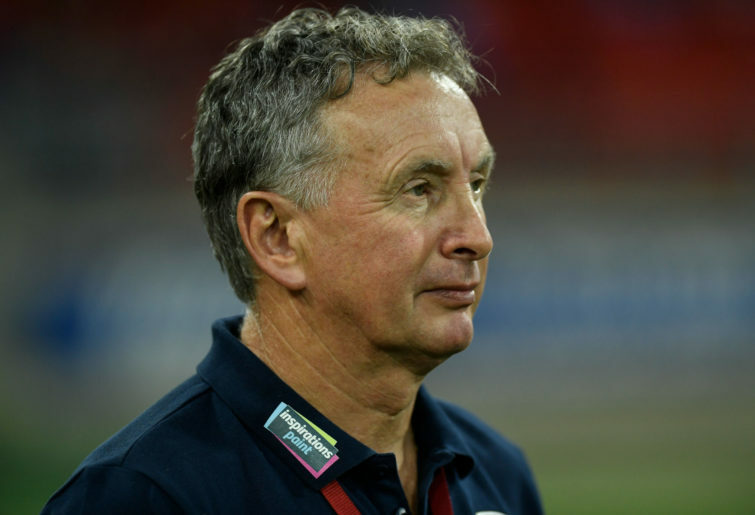 – but if they were still around you could imagine Glory coach Tony Popovic firing off a friendly missive to his City counterpart Warren Joyce. Just a day after City could find no way past an inspired Filip Kurto in the Wellington Phoenix goal, Glory showed them how it’s done with a clinical 2-0 win over the Newcastle Jets. One of their goal scorers is reportedly coveted by the Melbourne moneybags, while the other is a former City cast-off. And you get the impression Andy Keogh and Neil Kilkenny have got plenty more damage to do in a Glory jersey yet. There was a moment three minutes into stoppage time in City’s 1-0 defeat in Wellington that arguably summed how their season is going. It came when Kurto parried Riley McGree’s low drive and Kearyn Baccus followed up by smashing the rebound just wide of the far post. A better finisher would have buried the chance. But then City officials have made it clear they’d rather lose football games than ever play Bruno Fornaroli again. There are no such problems in Perth, where Andy Keogh tapped in his ninth goal of the season and Neil Kilkenny curled home a spectacular second in Glory’s 2-0 win over the Jets. Why did City get rid of Kilkenny again? It’s hard to fathom how Florin Berenguer is any kind of improvement. Still, City’s loss is Glory’s gain and the Round 18 clash with Melbourne Victory at AAMI Park in a fortnight’s time looms as one of the season’s most pivotal games. And Glory topping the A-League isn’t a bad outcome for a competition that has been dominated by Victory and Sydney FC for the past couple of years. They may not get much love over on the east coast, but it’s safe to say that Perth Glory are the biggest of the A-League’s sleeping giants. And Tony Popovic has not only got his team playing a successful brand of football, he’s revitalised a couple of careers while he’s at it. Neil Kilkenny strikes you as the sort of bloke who’d remind you on his death bed that you’d once accidentally dinged the side of his Hyundai Elantra, but it’s hard to argue the combative midfielder hasn’t been one of Glory’s best this season. Meanwhile, Jason Davidson looks like the sort of defender who once won an Asian Cup with the Socceroos. 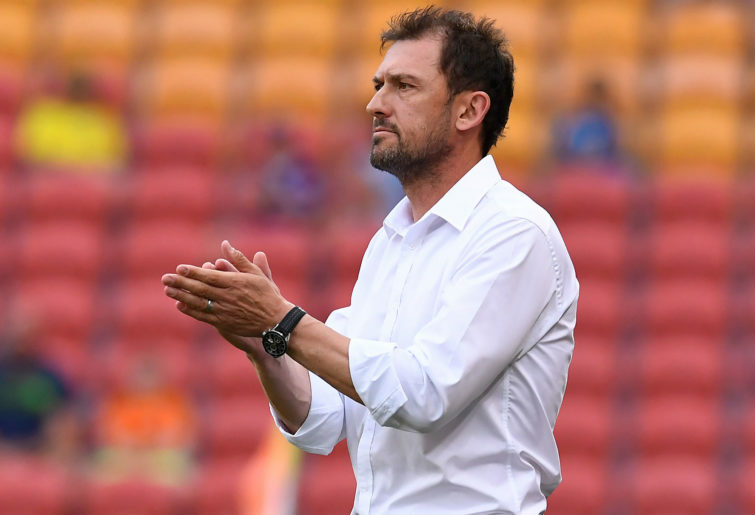 Is their resurgence all just down to Popovic? Let’s be honest, if Glory weren’t top of the table with a squad containing the likes of Matthew Spiranovic, Juande and Diego Castro, we’d probably be asking even more questions. And there’s still a third of the season left to go before the Glory even have a chance of winning anything. But they’ve looked mightily impressive so far, even if Newcastle coach Ernie Merrick felt like his side had been robbed by the VAR yesterday. “I’ve got nothing to say about referees, the best team won the game and we’ve got to score goals,” Merrick said in the press conference after the match – about two seconds after he’d just given the referees an almighty bake. “The guy in the VAR was having a cup of tea,” Merrick reckoned of the couple of close calls that failed to go Newcastle’s way. It’s unlikely much will come of his comments given that Football Federation Australia seems so preoccupied with other matters the A-League appears to have fallen entirely off their radar. The Central Coast Mariners will feel just as hard done by after conceding a stoppage-time winner to Adelaide United in their 2-1 defeat in Sunday’s other game. But it’s Glory who deserve all their plaudits. They may be unloved outside Western Australia, but this new narrative is not a bad thing for the A-League.